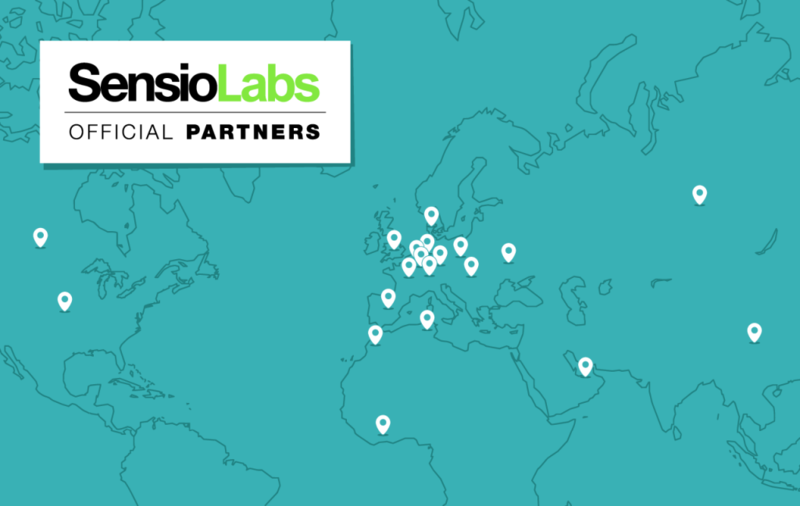 Over the past 5 months, SensioLabs extended its network and has just welcomed its 50th partner! With this new Partnership Program, SensioLabs aims to promote its products and services and provide quality development for customers around the world. Our 50th partner signing marks a concrete step towards realizing our international ambitions. Now present in more than 20 countries, SensioLabs continues expanding its network to answer increasing global demands for developments with Symfony. The development of this partner network validates the quality of the Symfony PHP Framework and confirms it as one of the best PHP Frameworks. – Presence in 20 countries : US, Canada, France, Germany, United Kingdom, Switzerland, Spain, Belgium, Luxembourg, Netherlands, Denmark, Poland, Romania, China, Ukraine, Russia, Tunisia, Morocco, Ivory Coast, United Arab Emirates. Our network of partners grows and strengthens daily, always faithful to the excellence and expert values initiated and propagated by SensioLabs. “The development of SensioLabs’ Partner network is a source of great pride as it permits us to establish stronger and longer lasting relationships with professional users in the Symfony ecosystem! 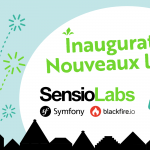 Today, this program proves its own success and we look forward to nurturing it as it continues to grow!” says a happy Grégory Pascal, SensioLabs COO. The Program consists of auditing the technical and commercial skills of professional SensioLabs’ solutions users in order to guarantee a certain expertise and to develop their activity through a multitude of business and marketing opportunities. From added business value for the commercialization of products and services, to technical information that offers access to our expert knowledge base and to SensioLabsSupport service, every partner benefits from increased visibility in the heart of the Symfony ecosystem. Partners take their place at the forefront of today’s professional solutions market and enjoy privileged visibility, international and national networking and access during the annual SymfonyLive and SymfonyCon conferences organized by SensioLabs which they are encouraged to sponsor in order to further solidify their position in the ecosystem. SensioLabs offers 2 types of partnerships: the Partner Network and the Affiliate Network. 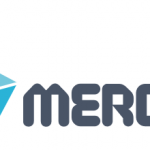 In addition to the numerous business advantages included in both types of partnerships, the Partner Network focuses specifically on the Symfony certification of partner teams to guarantee the technical expertise so important for project development. The Affiliate Network is the first step in the Partnership Program during which SensioLabs accompanies the partner to increase his team’s Symfony skills, the goal being to obtain certification. Throughout the Partnership Program, SensioLabs supports its partners in their developments and commitments and offers exclusive promotions and opportunities for workshops and products to help them continue evolving both in the Partnership Program and in their business goals. This 50th partnership coincides perfectly with our continued dedication to spreading and supporting quality use of Symfony around the world and the ever-widening circle of partners actively networking to respond to the increase in demands from the Symfony user global market. To meet our 50 partners and other active community members save the dates for our next conferences: SymfonyLive London from September 17-18th, Berlin from October 13th to 16th, San Francisco from October 29-30th, and the biggest international Symfony conference of the year, SymfonyCon Paris from December 3-5th. 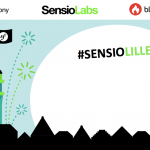 SensioLabs and its Partners are ready to listen and help with any of your project needs; contact us any time!